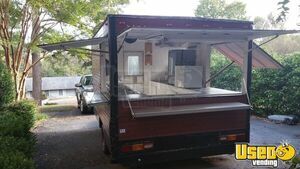 Food Concession Trailer Used Mobile Kitchen for Sale in Washington!!! 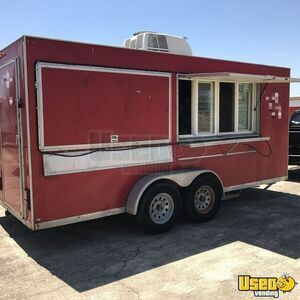 Bring your delicious meals and tasty treats to your customers daily when you start a wonderful business with this used food concession trailer that is in very good condition! 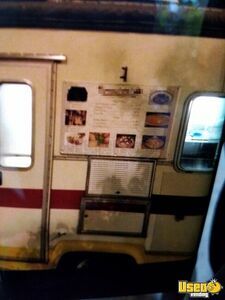 More details of this street food unit can be seen below. 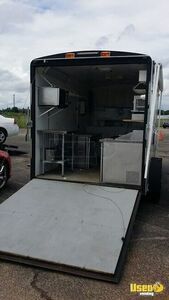 2009 - 8' x 16' Food Concession Trailer for Sale in Texas!!! Prepare for a memorable culinary adventure! 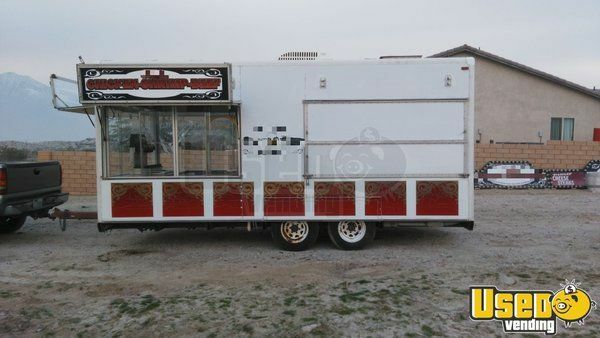 Get this 2009 model 8' wide and 16' long food concession trailer now enter the street food business craze! More details can be seen down below. 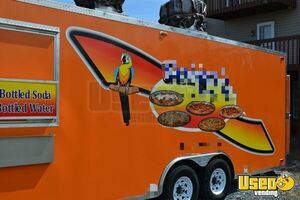 2015 - 8.5' x 24' Turnkey Food Concession Trailer for Sale in North Carolina!!! This is a complete Turn Key Business that will be ready to hook-up and roll out to your new location! Bring your food and hang your shingle to start your exciting new venture. This Business Bundle includes lots of extras for a really fun outdoor set-up where you are truly a restaurant on wheels. From music to signage to shade, this setup has it all. The trailer itself is a 2015 model 8.5' x 24' Freedom that's just loaded with quality equipment. See details for all the great extras, too. 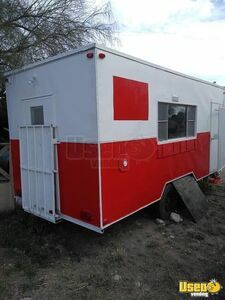 8.5' x 18' Food Concession Trailer for Sale in Arizona!!! You don't need to start your on-the-go street food business from scratch! 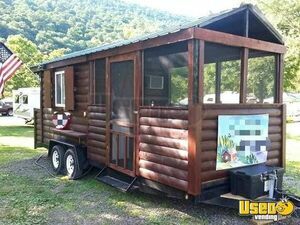 You can start with this 2007 model 8.5' x 18' festival style concession trailer! Has new rims and tires. SOLD AS IS. This is a project trailer, will require some finishing, see below. 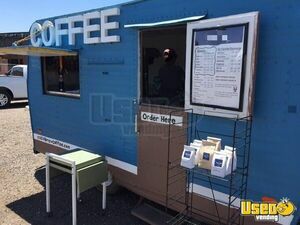 1964 - 8' x 16' Vintage Coffee Concession Trailer for Sale in New Mexico!!! Fill every cup with perfectly brewed coffee! 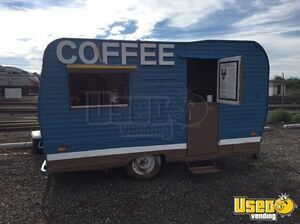 Start your own mobile cafe with an awesome unit. 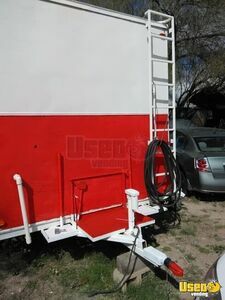 Start with this vintage 1964 model Terry coffee concession trailer that's 8' wide and 16' long! See more details below. 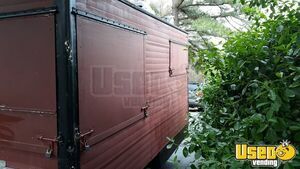 8.5' x 16' 2018 Concession Trailer for Sale in South Carolina!!! 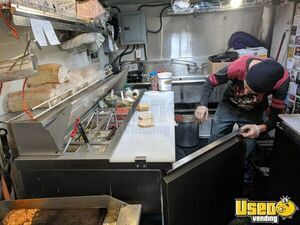 Starting your very own mobile food business will be a real treat with this 8.5' x 16' 2018 model Covered Wagon brand concession trailer! 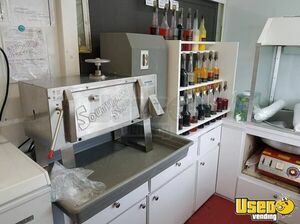 It was built for food service but could also be used or beverage or retail sales. It has an inside standing height of 6.9'. See further information down below. 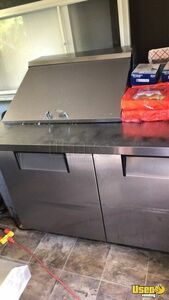 2014-8.5' x 26' Concession Nation Food Concession Trailer for Sale in Arizona!!! 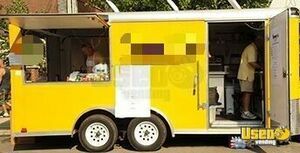 If you are serious about cooking, this street food unit is for you! This is a 2014 model Concession Nation food concession trailer that is equipped and ready to go! See more details below. 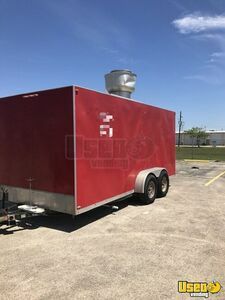 2017 - 18' Food Concession Trailer Used Kitchen Trailer for Sale in Texas!!! 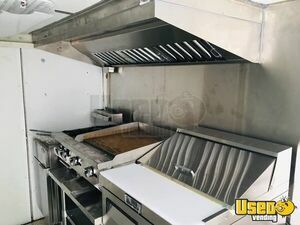 Enjoy high quality equipment when you get started in your cooking business inside this awesome mobile kitchen! 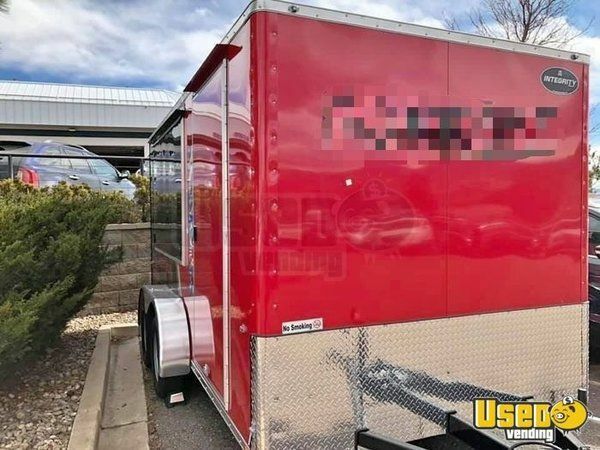 This is a 2017 model 18' long used Freedom food concession trailer! Come see further details down below. Go to the best spots in the city and serve your amazing meals! 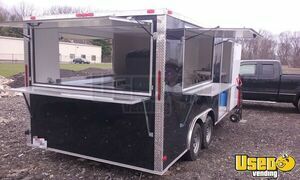 This 2012 model 8' wide and 12' long used food concession trailer is ready for your culinary business venture! See more information below. A turnkey business opportunity is heading your way! 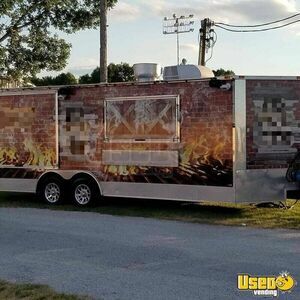 Don't miss this 2014 model 8' wide and 30' long food concession trailer that's featuring an equipped 2015 build kitchen inside! See more details down below. 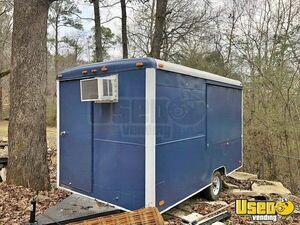 2002 BBQ Concession Trailer Used Smoker Trailer with Porch for Sale in Maryland! Elevate mobile grilling when you get started on your own street food business! 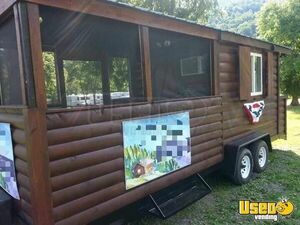 Begin with this 2002 model 7' x 22' used barbecue concession trailer with porch that has a cabin/log style exterior! More details can be seen below. 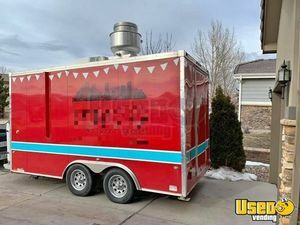 2018 - 7' x 14' Like New Food Concession Trailer for Sale in Colorado!!! Get ready for the mobile cooking excitement! Be part of the business craze when you get this 2018 model 7' wide and 14' long with 6.8' of inside standing height. Come see further information below. 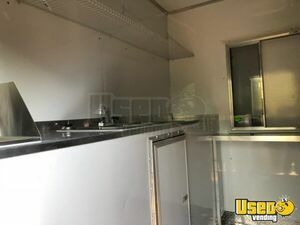 NEW 2018 8.5' x 16' Food Concession Trailer with Porch for Sale in Florida! 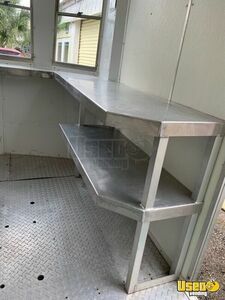 Start your brand new mobile food business with this never used 8.5' x 16' food concession trailer with porch! 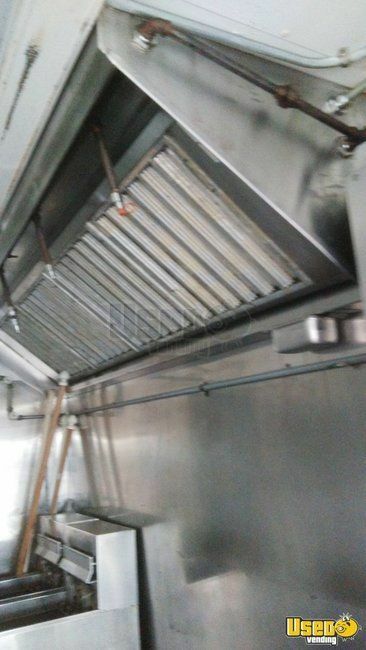 This has the equipment to get you into the street food action! See more details below. 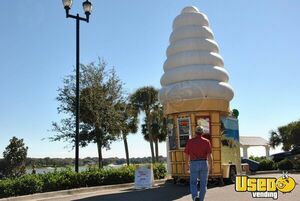 8' x 13' Ice Cream Concession Trailer for Sale in Florida!!! 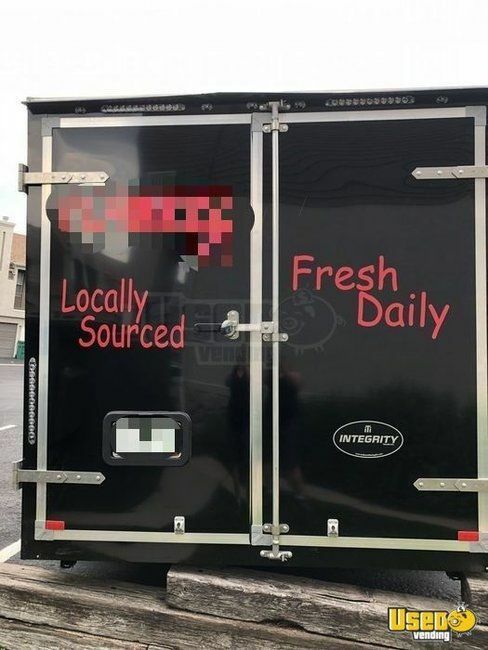 Want a truly unique ice cream trailer for your business? Here's one for you! 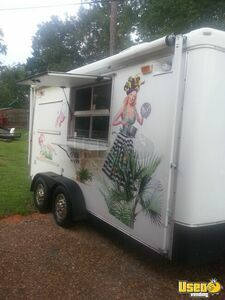 This is a 2009 model Wells Cargo ice cream concession trailer that has a real head-turning exterior! 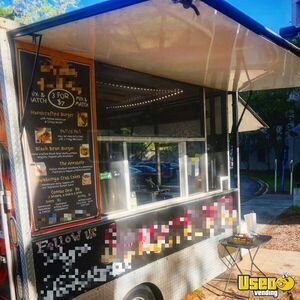 This mobile ice cream concession unit is like an ice cream cone! See more details below. 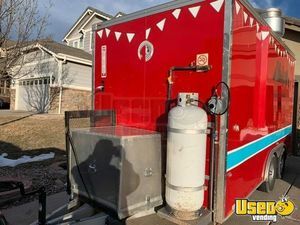 2012 Food Concession Trailer Kitchen Trailer for Sale in Colorado!!! Got tons of food ideas? Use them all in your very own street food business! 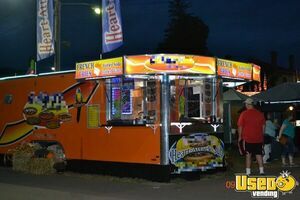 This 2012 model Food concession trailer is ready to get you started. See more information of this unit below. 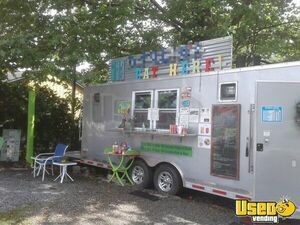 8' x 20' Food Concession Trailer Used Street Food Trailer for Sale in Oregon!!! 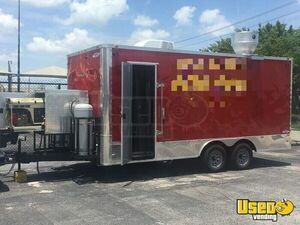 2004-7' x 13' Food Concession Trailer Street Food Trailer for Sale in Florida!!! 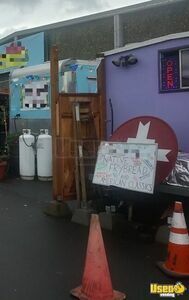 Turnkey business for sale! Come and show everybody what you got! 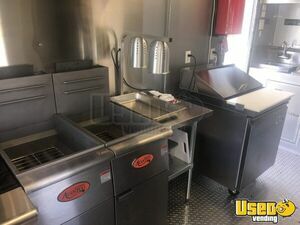 Get this 2004 model 7' wide and 13' long food concession trailer now and start the best mobile cooking business the world has ever seen! The kitchen was installed in 2018. See more details below. 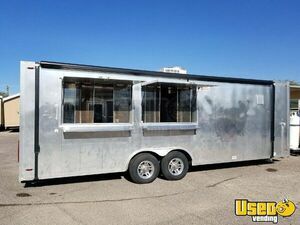 Food Concession Trailer Street Food Trailer for Sale in Arizona!!! Make your flavors speak for themselves! 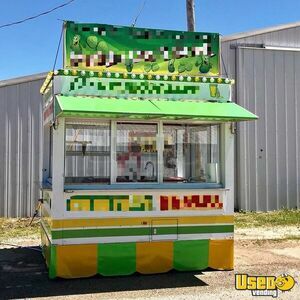 Show off your delicious meals with this good condition food concession trailer! See more details and features down below. 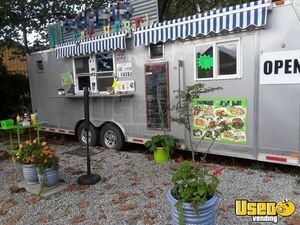 This is your chance to start your mobile food business with an awesome kitchen trailer! 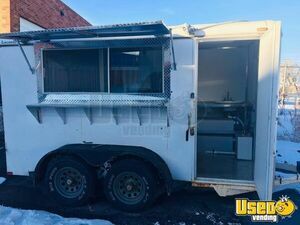 Hurry up and grab this 2016 model 8' wide and 20' long used food concession trailer that has an equipped 2017 build kitchen inside! See more details down below. *Graphics will not be included. 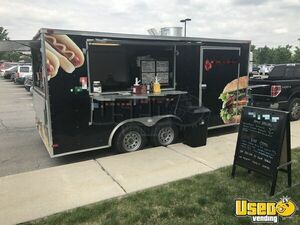 2014-16' Used Food Concession Trailer with Ford E-250 Van for Sale in Ohio!!! 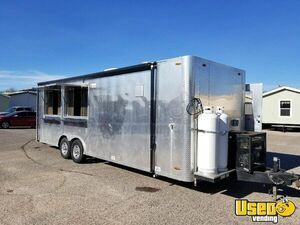 2004 - 6' x 12' Food Concession Trailer Mobile Kitchen for Sale in Colorado!!! Cook meals creatively with all your original recipes! 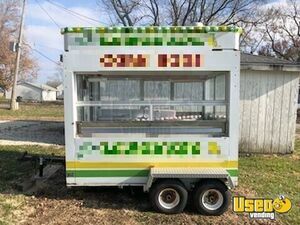 Get into business with this 2004 model food concession trailer that's 6' wide and 12' long! The kitchen inside was installed in 2019. More details can be seen below. 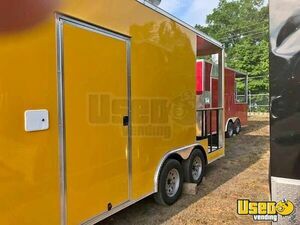 2014 - 8.5' x 24' Used Food Concession Trailer for Sale in Pennsylvania!!! Get excited for your chance to rule the street-side concession business competition! 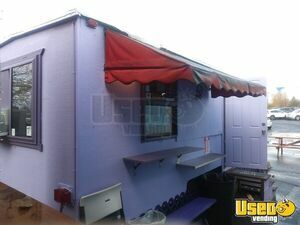 Get this 2009 model class 2 shaved ice concession trailer that's 12' long! See more details down below. The high level of communication keeping me up to date every step of the way was important to me. Hi Traci, I wanted to thank you and Used Vending.com for a great experience. I was impressed with how quick my concession trailer sold. You were very helpful answering my questions and explaining all the details. The high level of communication keeping me up to date every step of the way was important to me. The entire process was very professional and I am extremely satisfied with the outcome. 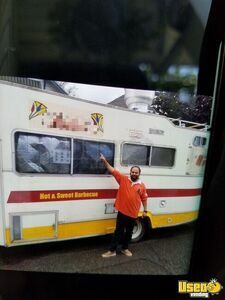 I will absolutely consider Used Vending.com again in the future and I will also be sure to tell my family, friends and business contacts about your service.